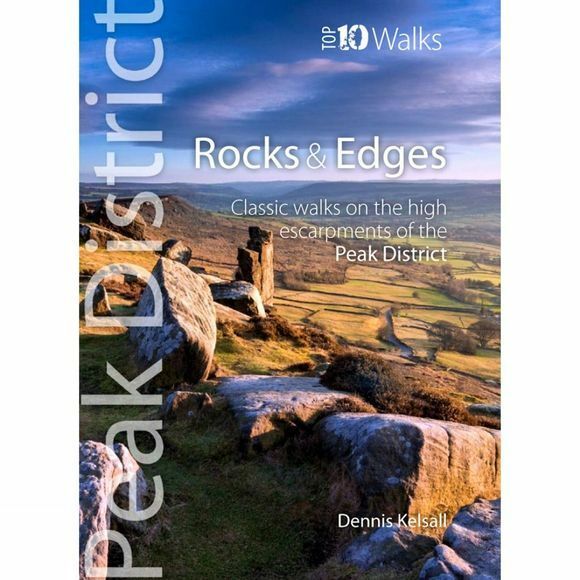 One in the Peak District Top 10 Walks series. Handy, pocket-sized, full colour walking guides written by experts. With clear information, an overview and introduction for each walk, expertly written numbered directions, large scale Ordnance Survey maps, superb, eye-grabbing panoramic photographs, and interpretation of points of interest along the way, these guides set a new standard in clarity and ease-of-use. Featured walks include: Millstone Rocks, Edale's Tors, Derwent Edge, Rushup Edge, Bamford Edge, Stanage Edge, Millstone Edge, Baslow and Curbar Edges Birchen and Gardom's Edges and The Roaches. Dennis Kelsall is a professional writer of UK outdoor guides and has authored several guides to the Peak District National Park. He is also a member of the Outdoor Writers and Photographers Guild.